There is no doubt that we live in a digital age. The majority of our photos exist on our computers, tablets and phones. They're quick and easy and travel with us everywhere we go. But how many of those photos end up printed? 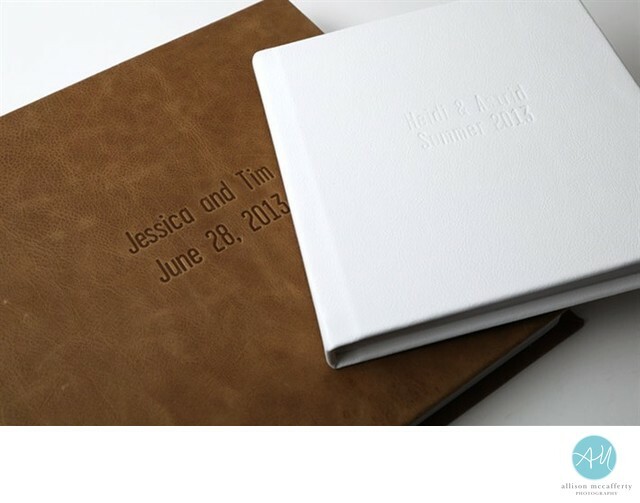 Many couples opt for only getting digital files of their wedding as a cost saving measure. Many have told me that they plan to make an album themselves, or that they will come back to have an album designed. Years later the majority of them have never made a book. What happens when a hard drive fails? Unfortunately, hard drives do fail at some point. I lost all of my daughter's digital newborn photos in 2009. They were on an external hard drive that was not backed up anywhere and the drive failed unexpectedly. I had nothing printed. The drive was irreparable and all of the early photographs of my beautiful little girl are gone forever. It still stings. I took two things away from that awful experience. 1) Print your images and/or make an album and 2) Computer backups are absolutely necessary. I now have a triple backup system that guarantees I will never lose another file and I print a yearly album (at the very least) of all of our personal photographs. My husband and I had a beautiful wedding album made. It's wrapped in leather, the pages are archival quality and hold our most precious memories of one of the happiest days of our lives. My wedding and family albums are priceless. They proudly sit on a bookshelf in the living room and our kids go through them all the time. They are family heirlooms, they tell our story. 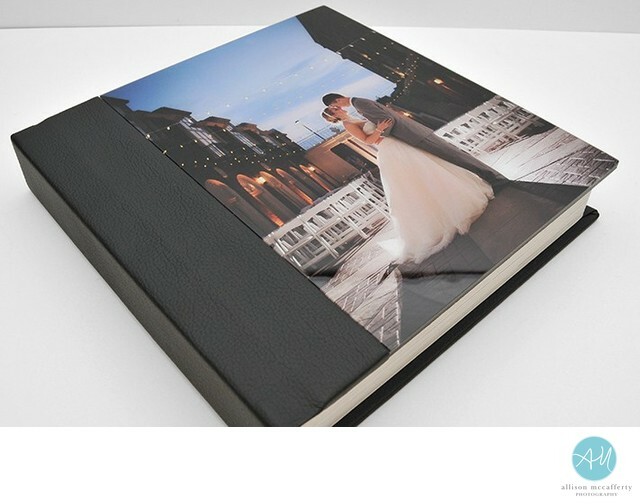 The albums I create for my couples are of highest quality to ensure they last for generations. The design is clean and timeless. There are tons of different cover options, but my favorite is leather. 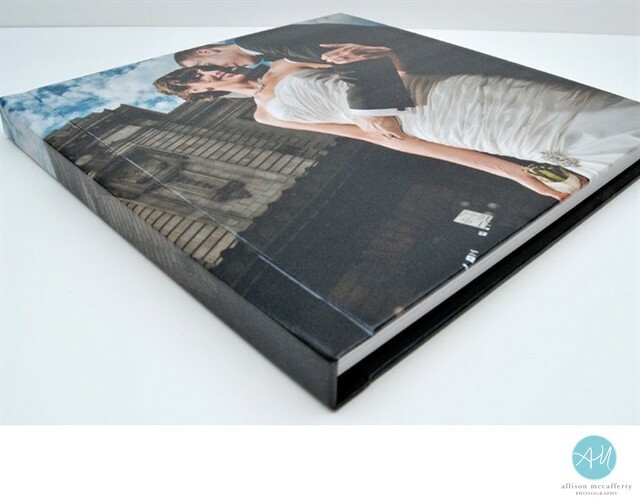 Custom image covers, linen and acrylic covers are also available. Pages are thick, rigid and lay flat when opened. This allows for a panoramic image to be included across a spread without any portion of the image being lost. The design of your album is a collaborative process. 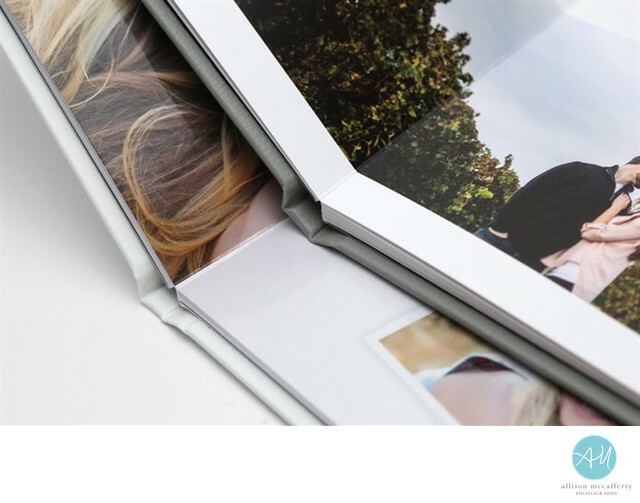 Once your selections are made I will create an album design proof that can be viewed online. From the proofing site you will be able to "flip" the pages and comment on each page for requested edits. Additional spreads can be added at any time. Once your design is approved it takes about two weeks for your beautifully crafted album to arrive. The distressed leather line is made of genuine Italian full grain leathers and features unique variations with natural markings. Note: Distressed leathers are made to show the natural wear and tear caused from daily use. 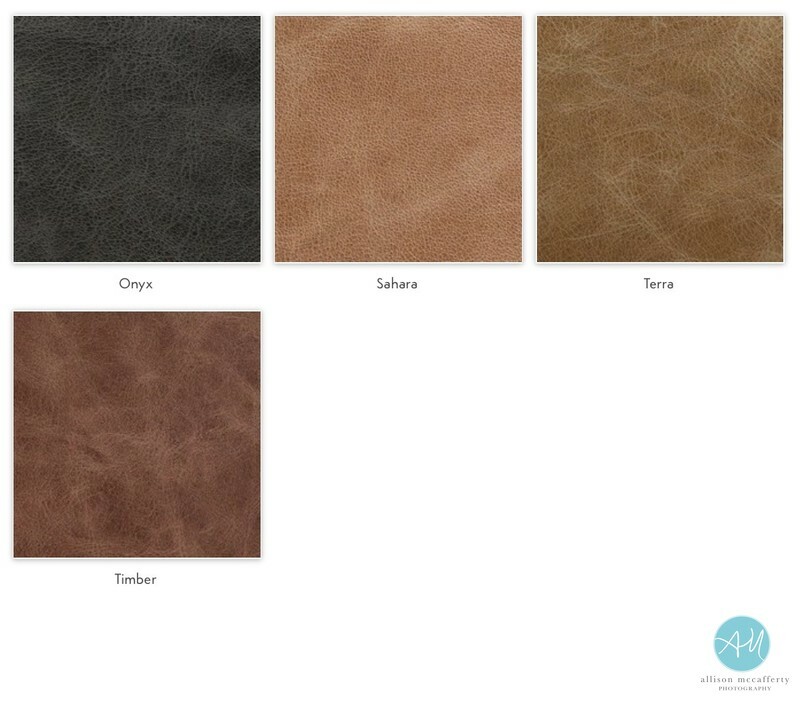 Due to the nature of this material, Distressed leather covers may vary in texture and level of distress. Acrylic covers. Your image is printed directly on the backside of a piece of Acrylic for an absolutely stunning look. 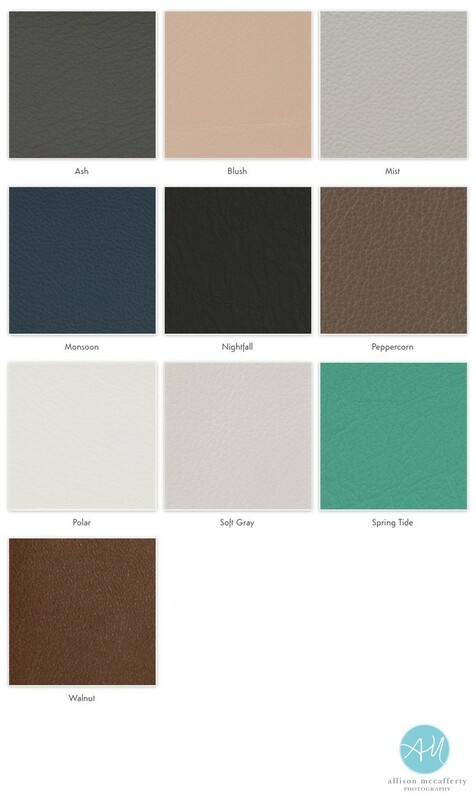 Acrylic Covers are available with Linens and Standard and Distressed leathers. Photo Wrap. Customize the cover of your album with your very own design. Your image or artwork will wrap around the entire cover of your album. Glossy & Satin finishes are available. 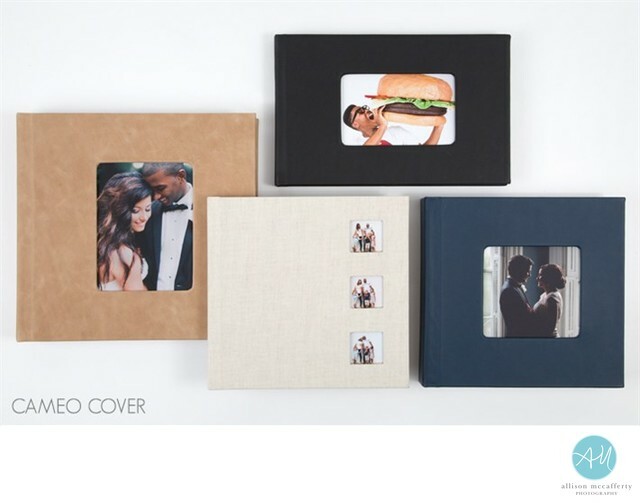 An instant classic for weddings, Cameo covers feature an image window to highlight your favorite photographs. 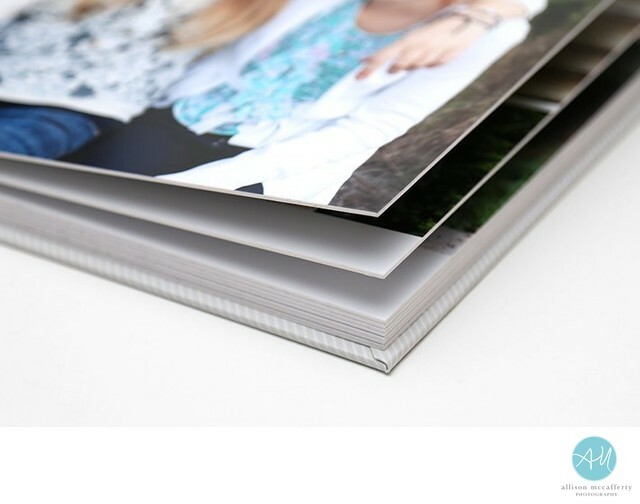 Select from Pano, Rectangle, Square, and 3 Square Stack to find the choice that fits your style. Cameos are available with Leather and Linen cover options.